You voted for it, you’ve got it. This week, we’re looking at some of the most blood thirsty creatures ever known to sci-fi/fantasy. No, we’re not on about a leech, nor a parasite, but they certainly could fall under these categories. We can only be talking about Vampires, a type of undead that likes to nom on your blood, essentially draining you of your very life force. What a horrible way to go. It’s Easter time! Therefore, it’s time to celebrate in the only ways we know how. With a Top 10 that’s very Easter themed – You could have chosen rabbits, or the more literal Easter Eggs, but no, you guys chose for our Top 10 list of Characters Who Came Back From The Dead. In some ways, I guess we should be thanking you for this one, as it’s not only topical, but it made us think. Some of the characters in the list are incredibly well known, some of the entries may actually shock you. Don’t worry though, we’ve got the defibrillator at the ready to resuscitate any of you who may need bringing back during our list. But don’t worry: When there’s an end, there’s always the chance of rebirth. No Isaac from The Binding of Isaac fame, you’re not on this list. Aha, so you thought you killed off the AI of the Portal series in the first game, well think again you puny meatbag. GLaDOS makes a very dramatic exit at the end of the first game, where you are destroying the very cores that make her… Well her! 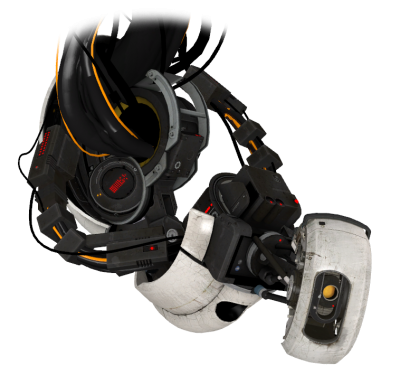 GLaDOS is truly the reason the Portal series was able to continue, not Chell. Coming in at number 10 only, because although it certainly was good to see her return from the “dead”, it was never truly confirmed that you killed her (even though it seemed like you had), plus the moment Portal 2 was announced, we all knew she’d be back. Plus, if nothing else, she gets a nudge onto the list for her beautiful singing voice. Ellen McLain, the voice of GLaDOS, is also a downright lovely individual who we had the pleasure of meeting and listening to at last years Kitacon Invasion. Frieza’s name was known all throughout the galaxy as the most fearsome warrior of all. He was able to level whole planets, barely using any effort at all. This intergalactic terrorist would incite fear upon those who gazed eyes on him, as well as having a rather flamboyant fighting force (Ginyu Force) at his disposal. 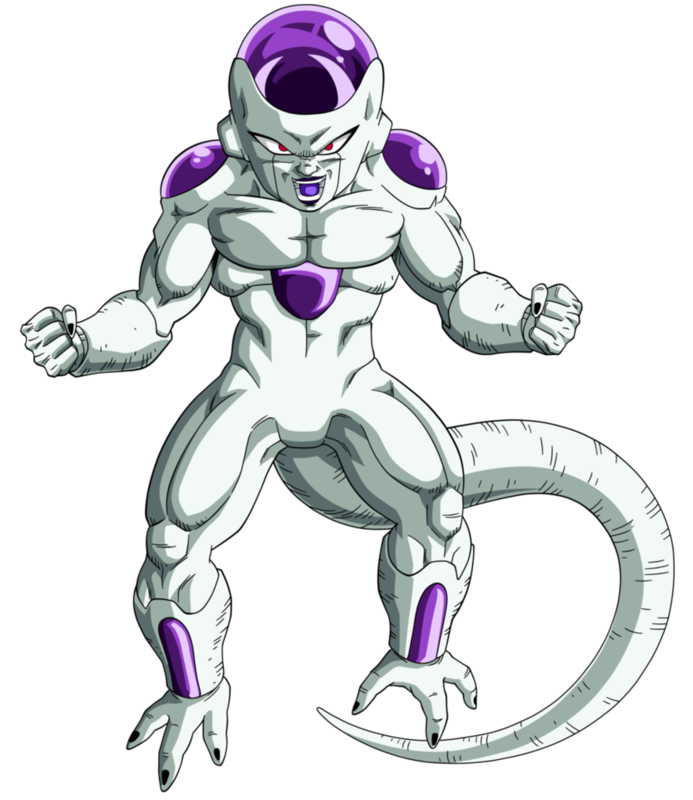 Frieza seemed like he had it all, until he was cut into a million pieces, had parts of his body disintegrated and then left for dead on planet Namek. Talk about having a rough day. But then, very shortly after the Frieza/Namek saga was over, we went back to Earth and lo and behold, Frieza returns! This time, he was on Earth! What ever could the world do– Oh, okay, a guy from the future comes along and in one slash with a sword manages to do what took Goku and friends what must have been eight episodes. Still, Frieza wasn’t finished there – Well he was, until very recently. Last year, in the film DragonBall Z: Resurrection ‘F’. This time, he seems to not be a robot, but golden! Now you’ve seen his true final form? Possibly? This one was incredibly shocking and highly controversial. In fact, I’m not going to make and mistakes about it: I somewhat grew tired of Family Guy a while back. There’s only so much that you can take of what is effectively just constant running gags, which grow staler than a loaf of bread that you’ve left for only five minutes on a table in the Sahara Desert. I might be being rather descriptive of how stale some of the jokes can get, but there’s one thing this series did really well. It hit all of us right in the feels. The very controversial episode of Brian’s death, aptly named Life of Brian, was actually somewhat hard to watch. The video above shows the clip of Brian’s death, so a small warning goes out to you – It’s a little bit brutal. The episode managed to handle the death of a main character really well. It didn’t resort to wacky humour about it, but instead, it felt as if the series was about to lose a sense of what it was – Same as how many of us feel whenever we lose someone or a pet that’s so near and dear to us. This episode stirred so many people, that a change.org petition was started and eventually Brian’s death was ret conned, proving the character was indeed loved and would have been sorely missed. I wonder how Family Guy would look today if they kept the replacement dog..? The films series that just won’t die features one of our all time favourite immortal nemeses, the masked slasher Jason Voorhees. While the film franchise has limped, sagged and very nearly collapsed under the burden of abuse from varying directors there’s an underlying character to the mighty butcher of rampant teens, generally lying under the surface of a lake, but he’s seen as something of a representation of puritanical oppression. Not a lot oppressing him though. The source of his immortality has never truly been explained, mostly that a series of flukes, assorted magicks (with a “k”) and prolonged periods of time spent in suspended animation have all contributed heavily to his prolonged existence so that he may foreshorten that of others. Trips to Hell and outer-space can’t hold him back, not even failed titles, spinoffs, or lousy versus films can keep him from rebooting. It was either him or Ghost Rider, it’s always a tough call when you have two incredible characters who have been offered a deal from the devil, and while we can forgive Nicolas Cage for a rather… different interpretation, we still love Spawn just that little bit more. Maybe it’s the vast array of powers, challenging Malebolgia himself to mortal combat, OH! and Mortal Kombat! Al Simmons is just a more awesome character, a grim silhouette in the stereotypical stormy night that casts every bit as much fear as the flaming skull of vengeance, who also got a legendary cartoon series to boot. But what about his return from death? If you read his entry in the Top 10 Unfortunate Heroes you’ll know it’s not a happy tale, it’s a hellish contract born of a need for revenge, and to save the life of the one he loves, but it slowly becomes a mission, a duty to the forces of light born on the shoulders of a very dark soldier. In a tale of epic struggle against what is effectively overcoming the unspeakable ultimate evil, Harry Potter makes it onto our list as a surprising entrant. After all, he manages to defeat Voldemort*, doesn’t he? 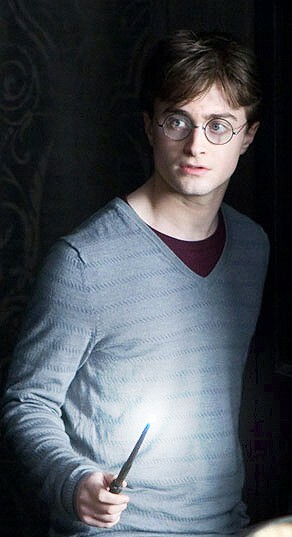 So how can it be that The Boy Who Lived who ended up being The Boy Who Died Then Came Back To Life Again Or Something? Well, it’s all down to the details in this one, but Harry does indeed die. He is a Horcrux, one that Voldemort himself accidentally created. The irony was that Harry had to kill himself in order to destroy one of the Horcruxes. Hey, everything in this series was entwined in some way, even the Golden Snitch that Harry was given by Dumbledore makes a very important appearance during this part. When Harry dies however, a lot of the story really comes together here. The Horcruxes are falling very quickly at this point and of course, time to go and defeat Voldemort once and for all. *Or y’know, Neville Longbottom, the series whipping boy, is the one who ends up beheading the snake in a rather amazing scene in the films, but whatever! Lives for a week, a tale of tragedy that takes us a total of seven days and – in the case of Cyrus Gold – ultimately ends in reincarnation. You see, the immortal Grundy from the DC universe is an ancient and wealthy banker from days of yore whose carriage sinks into a peat-bog that supposedly contained one of DC’s infamous retcon devices, a Lazarus pit. The rejuvenating properties infuse Grundy, leaving him incapable of permanent death, or even coherent thought. The pits are known to damage the mind and soul of those they help, whilst making the body incredibly powerful. To someone with the self-discipline or narrative importance of Ra’s Al Ghul the effects can be mitigated with rigorous self control and suitable sacrifice. For Solomon Grundy, it leaves a mindless giant capable of crushing a man with a shrug. Batman actually enjoys Grundy for the chance to cut-loose and get to some real damage dealing, despite the fact that the giant is reborn far larger and stronger than before. He does rather lack some of the guile of Batman’s better villains, being incapable of articulating much more than the one rhyme that was skipping through his head as he suffocated to death in the mystic swamps. Although some credit must go to Captain Jack Sparrow for being dragged back from the locker against his somewhat shattered will, someone had to step up who knew how to get to the other side. And as it happens Jack recently killed someone who’s as good as he is at not staying dead for long. It took a large crew and a whole lot of persuading to get Sparrow back from death, Barbossa made one sweet deal and came striding back to enjoy some juicy apples and revenge… juicy, juicy revenge. During his captaincy of the Black Pearl he got dangerously close to death before Sparrow and Turner finished the job, but as it turns out Tia Dalma/Calypso has a soft spot for the old sea dog. More and more we’re seeing film series leave us with cliffhangers to drag us back to the cinema, but in this incredibly short scene there was more excitement drummed up for the third instalment of the trilogy than in any other series – at least that I’ve ever seen. Who knew a pair of boots would be such a welcome sight? Well, I guess Gandalf the Grey was right – The Balrog certainly didn’t get to pass Gandalf and his temper tantrum of turmoil. It ends up that Gandalf shouting those immortal words would also be Gandalf the Grey’s last. The whip reaches up, lashes around the leg of Gandalf and pulls him down… Well okay, it wasn’t his last, as he manages to call everyone fools because they aren’t flying. I mean for crying out loud, Hobbitses can’t even fly, Gandalf, you senile old guy. Ahem, I digress. Later in the film, Gandalf makes a very lovely re-appearance, as Gandalf the White. Apparently, when this wizard dies, he manages to fall into a vat of Vanish Stain Removal. Enough joking though, Gandalf’s death was not in vain – He comes back way better than ever before and it’s one of the franchise’s most iconic moments. Are you really surprised? Seriously? Kenny infamously dies once an episode in early seasons of the world’s most even-handedly offensive cartoon series, it became the most widely known running gag in a series for a decade, and had a generation learning how to swear loudly in the face of death. They attempted to kill Kenny off permanently in an attempt to kill a joke they’d grown sick of, before demurely bringing him back in the same off-hand fashion they’d been doing for years. As time progresses we learn that in fact Kenny’s parents conducted some strange ritual with elder beings to cause him to be reincarnated constantly, a superpower he uses to become the cloaked immortal hero Mysterion. In fact one of the most harrowing episodes of South Park was the episode in which we learn of how alarmingly aware of his immortality Kenny is, holding a gun to his head and screaming “Remember this time! You have to remember!”, but no one ever does, no one can mourn a child who never dies. Everything comes to an end, but not the characters in our Top 10 list! Well some of them kind of do, but they don’t all simply end there. But the below extra characters are also known for their ability to just come back from the dead. At least they’ve got a chance to redeem themselves in our Honourable Mentions list! Depending on the version of Dracula that you look into, this vampire seems to just never stop dying and coming back to life. Interestingly, the state of how vampires sleep in the story of Dracula is known as “Death-Sleep”, as the vampires appear to be dead with their eyes wide open during their slumber, so if we take that into account as well, then hey, Dracula dies every damn night. But that’s not exactly true now is it? I mean if we look at the Castlevania series, the amount of times Dracula has legitimately been killed is quite staggering – Yet he always manages to come back for some rather unspecific reason. “Oh we resurrected him”, “oh we’ve got to kill him again.” Who knows why he thinks it’s a good idea to keep fighting the Belmonts, but hey, Dracula has to have something to do in his unlife, right? I guess having a hobby is good enough in his world. I had the most terrible dream, I was plummeting to my death, nothing but darkness and my own echoing screams, and then suddenly I was assaulted by descending numbers. I don’t think they reached zero because I woke up somewhere near where it all took place. I’m almost reluctant to try and make the leap again… but the world will not save itself, and I don’t see anyone else around here who isn’t trying to kill me. 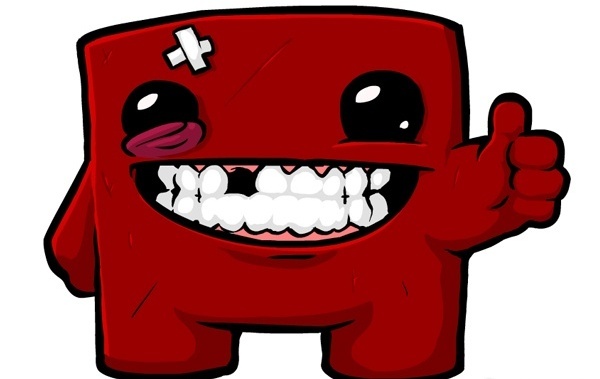 From the Hyperion New-U stations in Borderlands to the wave of bloody carnage that ends every successful run in Super Meat Boy, we’ve grown all too accustomed to the ability to just get up and try again. Perhaps the return of the roguelike owes itself to our newfound nonchalance in the face of death, because it can be hard to make death something to be feared, while at the same time allowing the player to get straight back into the fray without the tedium of starting from scratch. From an allotted maximum number of lives, to money and experience penalties, defeat is not without its sting, but that doesn’t make it any less funny when your character dies and walks it off. Oh we slayed this list! But lo and behold, when one goes down, it simply comes back within a week’s time much like Solomon Grundy. But now it’s time for you to decide what our list will be returning as next week. It’s time for you to help us pick next week’s iteration of our Top 10 list. As always, thanks for reading our list. We love writing these and as they are still thoroughly well received, we’ll keep doing these until you guys say “stop with the Top 10 lists!” Let us know what you thought – Are these characters deserving of this list? Do you think we’ve missed any characters that deserve a special mention? Would you have reordered this list in any way? Please leave your comments below, or over on Facebook and Twitter. Thanks for always being excellent! 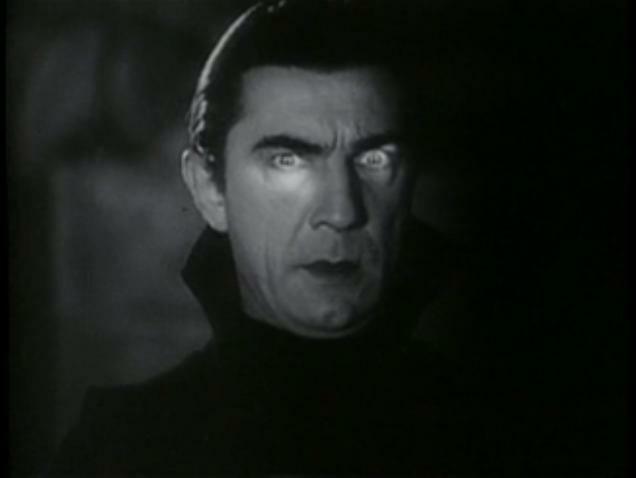 Bloodlust – Mostly a direct need to feed on blood, but many vampire myths talk of full-flesh cannibalism, blood-rites, or simple anaemia or a blood-borne disease that carries vampirism. Aversion to Sunlight – No vampire likes the sun, not one. Even dhampyrs (half-vamps) like Rayne or Blade prefer the dark to the day. It varies between an irritation to a lethal reaction to the hard light of day, but it’s always there. The Bat Motif – Vampire bats are the most famous haematophages, with the possible exception of mosquitoes, but they’re not quite so scary. Vampires and bats all share the fangs and the night life, so they tend to get along just fine.